Foundation Mijn Data Onze Gezondheid is organizing an international conference to move citizen science in health forward. The core purpose of the BeyondRCT-2 conference is to produce a workplan Co-operative Citizen Science for the period 2019-2021. What if citizens would really be enabled to take leadership over their own health? What if they would find applications for the numerous health products and therapies that lie on the shelves of scientists and companies? What if the research efforts and findings of citizens could be valued and incorporated into the formal body of knowledge? What if personalised medicine & personalised health would really become personal? What if we would create the data stewardship solutions that empower the development of health knowledge? What if companies would be able dialogue directly with their clients without compromising confidentiality and integrity? What if we would be able to fit the pieces of the puzzle together? These are just some of the questions that will be addressed at the 2018 edition of BeyondRCT: towards co-operative citizen science in food and health. The symposium aims to generate a workplan Co-operative Citizen Science on Food and Health 2019-2021, in which companies, governmental bodies, research institutions and civic organisations join forces. BeyondRCT2018 is the follow-up of the 2016 edition of BeyondRCT: towards citizen driven research strategies in food and health. 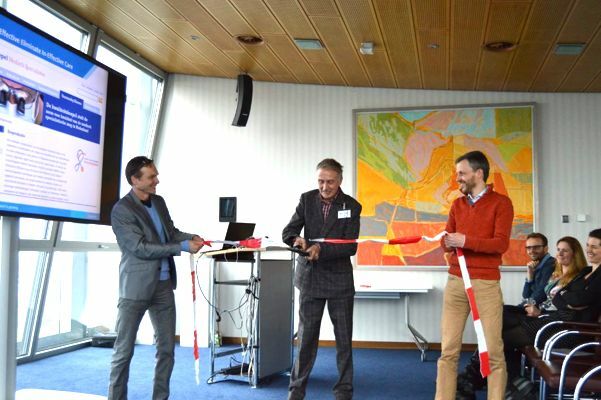 On that ocassion, Henk Smid, the Director ZonMw, the Dutch Funding Agency for Health Research, symbolically marked the passing towards a new generation of citizen driven research strategies by cutting a rope. Learn more about BeyondRCT2016.